Who likes the smell of rubber mats? Practically nobody! 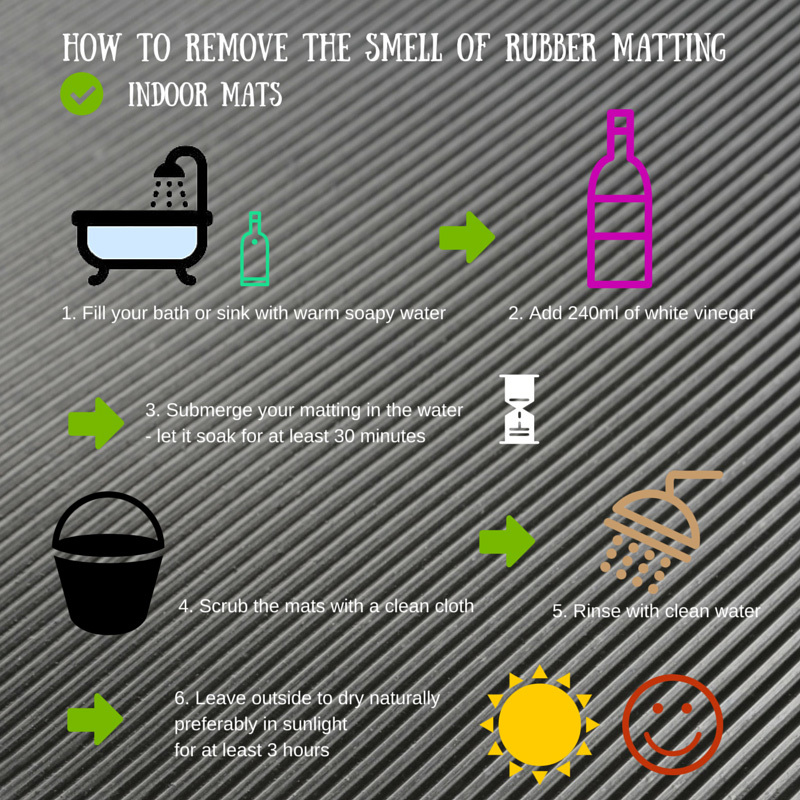 So, due to the popularity of last year’s advice guide about how to remove the smell of rubber matting we thought we’d create an infographic to make it even easier for you to follow. We’re nice like that. This one focuses on removing the smell from indoor mats and how to make them smell, well, less rubbery!